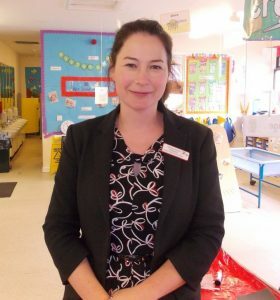 Hi, I’m Deborah Howard, Headteacher at Oswald Road Primary School. I’ve been at Oswald Road since September 2012, becoming the permanent Headteacher in May 2013. Oswald Road is a lovely school with fantastic children, staff and families. The staff work incredibly hard on a daily basis, all wanting the same thing…the very best for the children. Before coming to Oswald Road, I spent 9 years at a primary school in Withington as a class teacher, becoming Deputy Head from 2005. In 2010, I moved to a school in Wythenshawe where I worked as a class teacher and Deputy Head. The school I worked in was federated with another school, so there were many opportunities to work across the schools. My background is teaching Upper Key Stage 2 and I still make time to teach each week as I feel it is important. I have an open door policy. If you ever want to meet with me, email on d.howard@oswaldroad.manchester.sch.uk. to arrange or, alternatively, please contact the office. I am often on the doors in the morning or in the playground at the end of the day, so these are good to times to grab me for a quick chat as well. My room is situated on the first floor of the new build, so, if you’re passing, you’re more than welcome to knock on. I look forward to further leading the development of Oswald Road and it’s great to be on this journey together.